3 Ingredient Watermelon Raspberry Popsicles are the perfect healthy frozen treat to cool down with on a hot day. Best of all, this recipe is paleo, gluten free, dairy free and so easy to make. Deliciously refreshing, sweet and made with easy to find ingredients. It’s the summer of watermelon over here at our house. With the HOT temperatures we’ve had so far, we cannot get ENOUGH of watermelon lately. Seriously, I think the kiddos and I have been having a jumbo one every day for breakfast, lunch and after dinner most days. 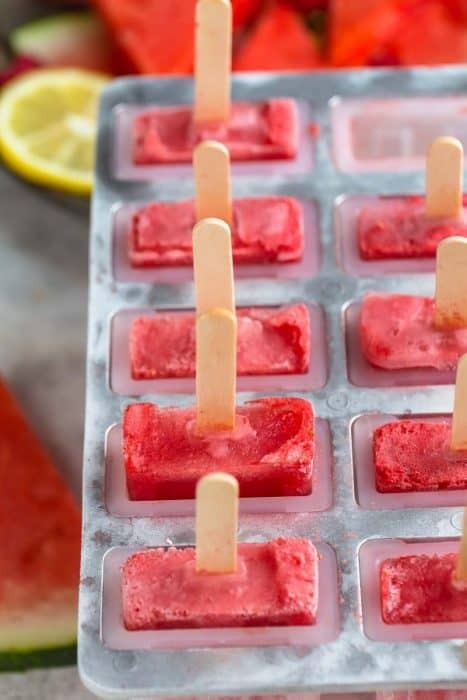 It’s one of our favorite things to snack on at the moment and I finally saved some to make these popsicles. 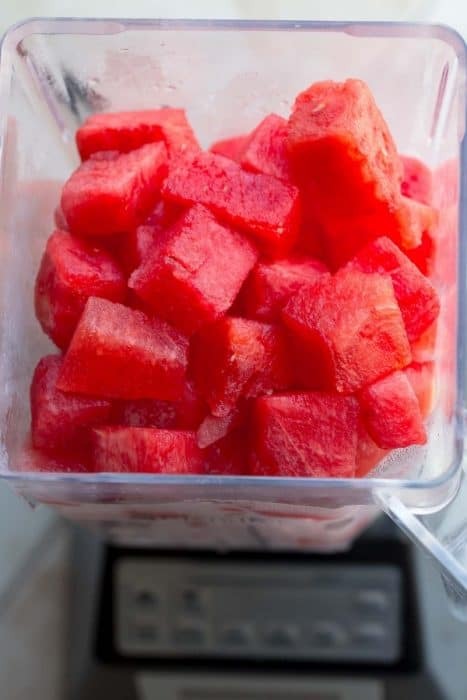 We just make a double batch and store them wrapped up in the freezer until we need something tasty and refreshing to beat the heat. 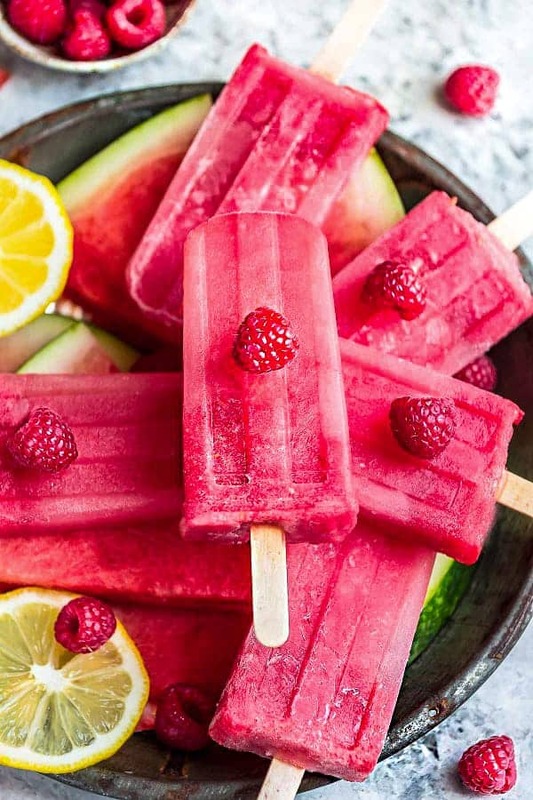 These Watermelon Raspberry Popsicles also couldn’t be more simple to make! They only require 3 ingredients — watermelon, raspberries and lemon juice. The raspberries and fresh lemon complement the watermelon so well. They add a bright and refreshing flavor and also add an extra touch of sweetness. 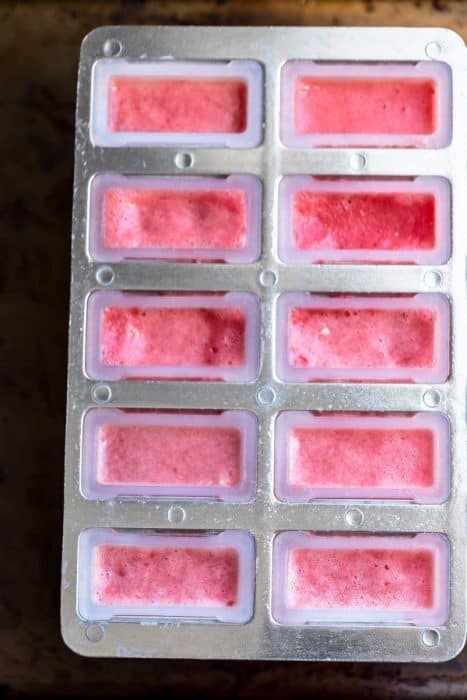 Toss them all into a blender then pour into your popsicle mold. So easy! Plus, they make a healthy, gluten free, dairy free and sugar free snack that you can easily customize. Since I use in-season fruit that is sweet already, I don’t usually add any sweetener but you can totally add some to your liking if you prefer. I DID add a drizzle of melted chocolate for my chocoholic husband’s serving for a little decadent touch. 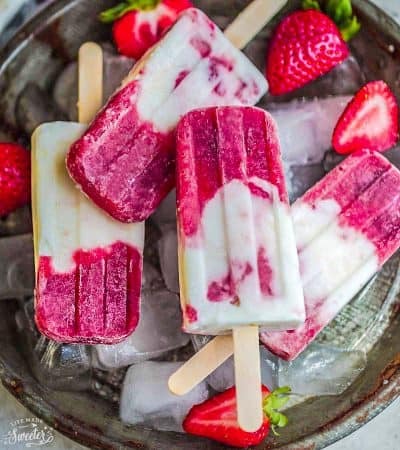 These popsicles set up beautifully in the freezer and they are so convenient when you want a healthy and fun treat to cool down with. 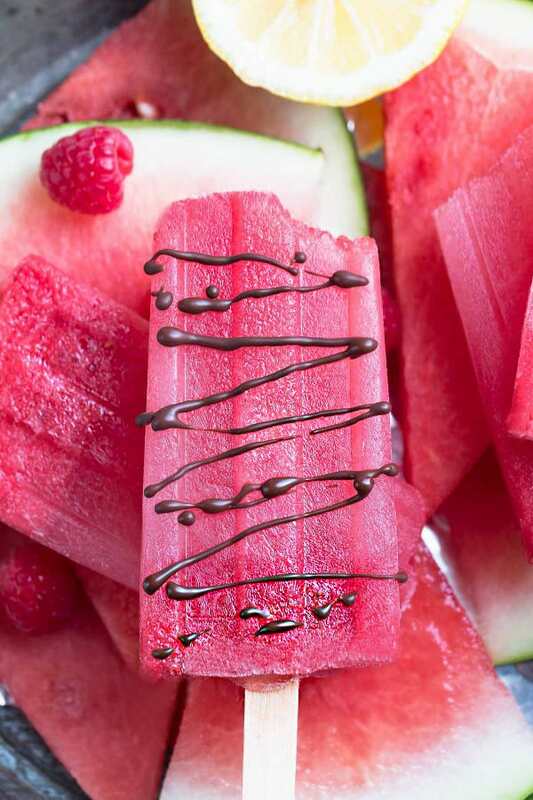 These 3 Ingredient Watermelon Raspberry Popsicles are deliciously sweet, refreshing and made with easy to find ingredients. 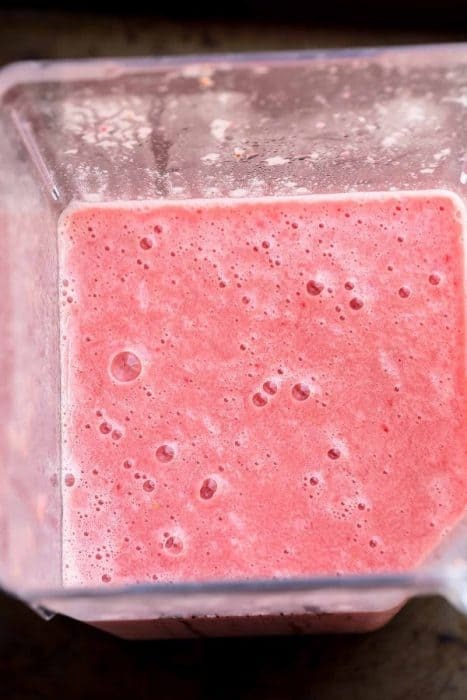 Add all the ingredients in a blender and puree until completely smooth. 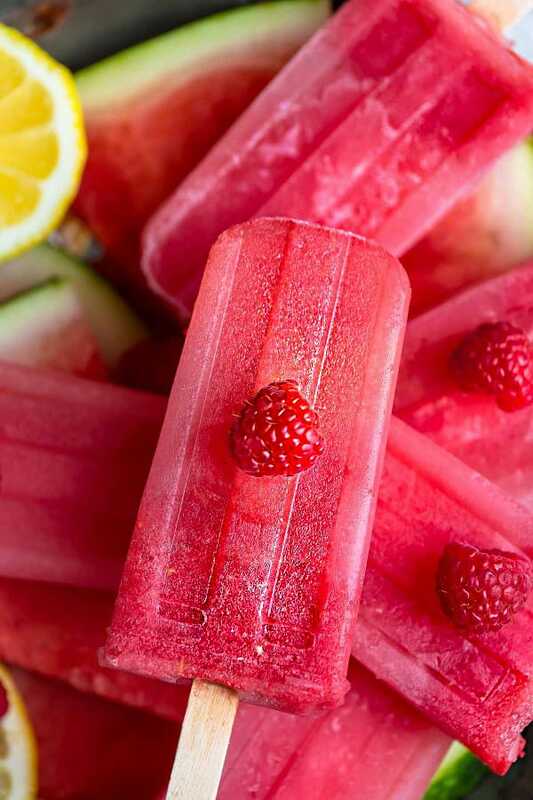 Pour into popsicle molds and freeze for 4 hours, or until very solid. If using popsicle sticks, insert the sticks when the popsicles are partially frozen. *I used in season fruit and these popsicles were sweet enough for our family. Depending on your taste, feel free to add some sweetener of your choice or a drizzle of melted chocolate if you like.